This is my very late post on our back-to-school life. We tend to go more towards unschooling approach, taking each day at a time, trying to follow the flow of life, let the kids dictate what they want to do each day and follow their lead. The number of articles I have been reading and the past few months experience teaching and working with parents have somewhat made me more relaxed towards my children’s daily routine. The fact that big S is still not yet fully 7 contributes to this fact of me “chilling out”and “taking things easy”. I keep telling myself that we will start our more regimented/schedule based lessons when they are older. I will be spending more time “teaching on the table” at least after a child turns 7. Of course, I am still teaching all day long on the go, very informal kind of teaching where I have to answer their 101 questions on various topics. Sometimes I just say to them “Go and do your own research on google” lol. And they just love it since they get to use the laptop. Anyway, we plan and Allah plans and in the end He knows best. Here is what I have planned and what they have been doing this school year so far. English– Big S is always reading. We are all concerned that she is reading too much and missing on some life-skills she could be learning. Sometimes she spends 6-7 hours in her room reading whereas her little sister spends just as much time helping me around the house by tidying up, polishing, arranging the books neatly on shelves, arranging everything in cupboards around the kitchen, peeling and washing the vegetables I need for today’s cooking etc. I am trying to get Sumayya to narrate more and Alhamdulillah she is just coming out of her shell. She still does not acquire the skills to narrate the stories she has read in nice chronological order of events, using rich vocabulary to get consistent, smooth flow of events happened in the story. But at this point I am happy with what she can do in narration. Her composition skills are just coming along and we still practise story-writing. I give a topic to write a story or the first 1-2 sentences and ask her to finish off the story. She writes short stories quite comfortably. I correct her spelling and grammar mistakes. It always strucks me how little grammar or spelling mistakes she makes, even though I have never taught her any grammar and we have never followed any spelling programmes. Alhamdulillah, the magic of reading a lot! Safiyya can now read short story books. But, the truth is she does not enjoy reading. It is a struggle for her to finish even one book from beginning till end. I remember at her age Sumayya would read as many as 10 such books a day. But then again, Safiyya has excellent narration skills. She mostly analyses the illustrations and comes up with her own story. And she tells me any story so nicely. Her imagination is just awesome and she is way too creative for her age. Alhamdulillah. We wont do any official writing with her but she is always writing me letters, making cards with messages inside, drawing pictures and writing captions etc. Again, I am happy with her literacy skills at this point. Ibrahim has been going to Raising Explorers with us since August. Alhamdulillah, he is very social even though he has very limited vocab in English language. He communicates mainly in Uzbek and still learning English. We will start the phonics when I think he is ready. He tries to write when his sisters are writing and has good hand-eye coordination. Maths- Big S finished MEPs Year 1 and we have mainly been revising the topics. I have to say that this is very challenging Maths programme for both of us. I have tried to teach some of the things inside to other kids at work and most of them were blown away. I have reviewed some other Maths programmes recently, namely Singapore Maths, Kumon Maths and in the end decided to stick to MEPs for a number of reasons (explaining them would require another post). So, inshaAllah we shall proceed onto MEPs YEAR 2 with big S next week. Science- nothing formal, no workbooks, no special programmes, except watching and observing things/movements around us and learning about them. Qur’an– my aim for this Year for big S is start reading the Qur’an cover-to-cover from back to front inshaAllah. We still mainly focus on hifdh and I ask her to read a random page or a random surah here and there. She can read alhamdulillah. Still using Madinah Arabic Book 1 in Arabic. Little S is still on hifdh. She has a long way to finish Juzz Amma inshaAllah. She can read a stand alone words from various surahs but can not read on mus’haf as reading is not her thing. Still using Gateway to Arabic Book 1 in Arabic. Islamic Studies- again very much hands-on approach. We talk, discuss, explain all Islamic concepts, rituals, practices all day long; we try to pray together; we try to read Qur’an daily; we try to say all our daily duas; make dhikr and dua etc. We read books and stories. 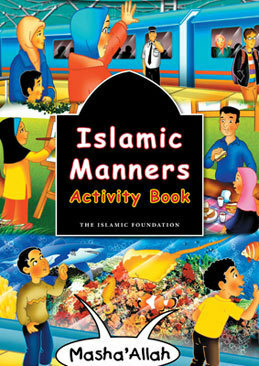 They both won an Islamic activity book each at Raising Explorers Eid party recently and have been trying to complete them. InshaAllah, Sumayya will start attending Maths/English/Science classes at Raising Explorers from next Saturday. She will be attending an hour of each class on Saturdays only, a total of 3 hours, Safiyya is too young to attend those classes yet. We will carry on at home. My rough scheduling is that I am aiming to have at least 4 hours of Maths a week with each child, 4 hours of Qur’an, 3 hours of English inshaAllah. There is nothing that children value more than human experience. They have always got this craving for an adult attention. They all want to be heard, to be answered, to be praised. My experience working with children taught me this. They love talking to and spending time with adults. Alhamdulillah one of the things I have been doing a lot and really enjoying is baking fun with my kids. Since grandma stopped eating the toast bread, we started making Uzbek naan bread at home. Something that we do weekly. And since I am baking an Uzbek bread, I always add something special on the side for kids be it pizzas or biscuits or a cupcake etc. So, below are some of the things the girls have been baking. I got big S a set of cookie cutters as part of her Eid gifts. She had been asking me when she could use those. Finally, last week we baked some cookies where all 3 enjoyed rolling the dough and cutting out their cookies. And more fun followed where they put the icing and sprinkles!!! All my children love pizza. We bake pizza at least once a week. We only do 2 flavours as they are not keen on various different types of veg being put on top. We do tune+sweetcorn and keema with plenty of cheese each. We all love cheese, yum. May Allah enable us to continue on this baking journey. And it works as a great treat to reward their good behaviour.